Cars & Coffee Cheshire's first meet of 2019 - thanks! 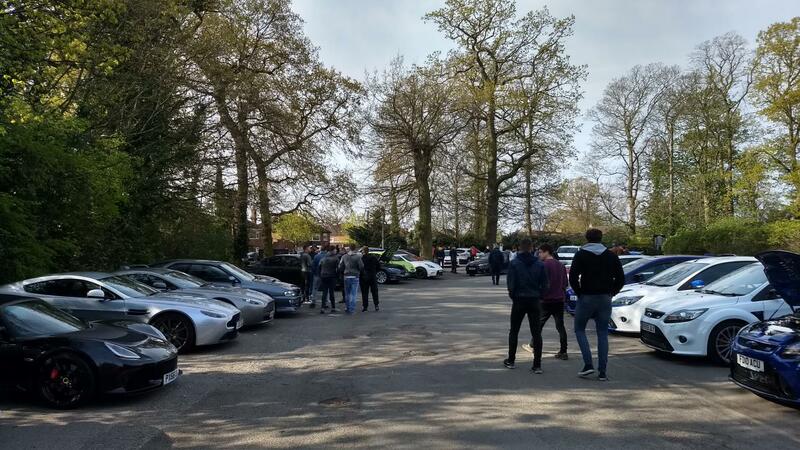 Home » News and Press » Cars & Coffee Cheshire's first meet of 2019 - thanks! Cars & Coffee Cheshire began back in 2015 inspired by a small weekly meet of car owners in California. Although we went for the monthly option, the idea of car owners meeting up over a coffee or two while looking at each other's vehicles is something we are passionate about. As popularity grew, we had a few hiccups along the way mostly because of a minority of people who forget how to act like normal human beings when an accelerator is provided under their foot. However, after much deliberation, a new venue and a slight change to the people sporting high vis vests, we are back for 2019. Our first meeting at The Cheshire County Sports Club on Sunday 14th April 2019 took place during a typically British spring morning (it looked nice but felt cold) without incident. The turnout was beyond what we expected for our "first day back at school" and we could not be prouder of how things panned out. Yes, there were a few little issues here and there but that comes with running an event at a new venue with new people involved. A lot of smiles on the day were a welcome sight although the cars were what we all turned up for. It was good to see some old faces and quite a few new as well. Everything from an American Sheriff car through to a Tesla came through those gates. It was nice to see a few people on two wheels too as you lot are certainly easier to squeeze in the gaps and a welcome sight amongst all the V8s, V6s, W12s, flat fours and all the other stuff with seats and a steering wheel. We have always said anybody who has a vehicle that others find interesting can attend because we all have different taste. That was certainly the case today so thank you to everybody who turned up for making it a good one. The good behaviour did not go unnoticed either. Thank you for following our simple guidelines to ensure that people outside the event viewed us as a decent, well behaved bunch of car enthusiasts because that is what we are! Photos will be uploaded to our gallery in the next few days but there are plenty floating about on Facebook and Twitter from attendees so please have a look. Keep an eye on this website along with our social media accounts for details of the next meet.